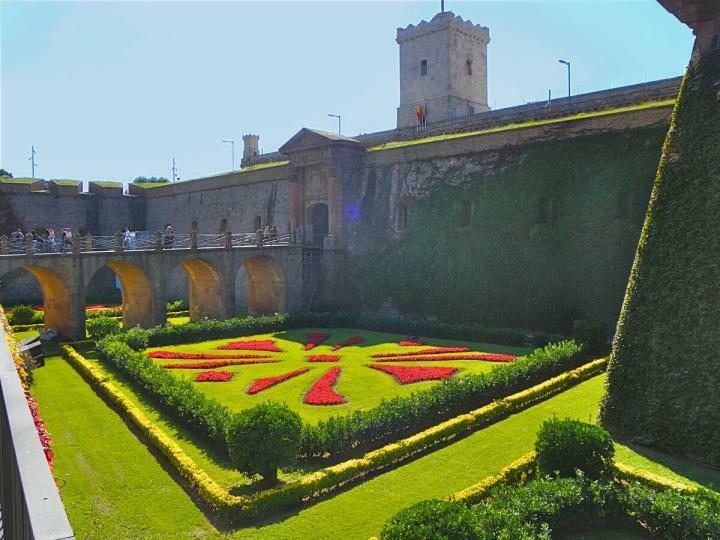 Montjuïc is a large park in the southwestern part of Barcelona, situated near to the port of Barcelona. As you enter the park, you will see the famous telecommunications tower "Torre de Calatrava". Montjuïc was the site of the 1992 Olympics (the Games of the XXV Olympiad) in Barcelona. The Olympic Stadium is still in use for various events today. The Olympic facilities can be easily accessed from various buses that travel to the Montjuïc area. The park is a great place for walkers as it abounds in palm trees and various other forms of Mediterranean plant life. Those interested in gardening may also like to visit the botanical gradens in the park. Park Güell, so named because of its sponsorship by Gaudi's patron, Eusebi Güell, is located on a hill in the northern part of the city of Barcelona. The park is one of Barcelona's most-loved holiday attractions because, unlike other Gaudi venues in the city, the park is open free of charge. Port Vell (pronounced vay) is located along the southern part of Barcelona on the seafront. If you would like to travel to Port Vell by metro, we would suggest getting of at the Barceloneta station. There is a beautiful promenade leading from the metro station to the seafront. The promenade at Port Vell is filled with several nice restaurants, cafes, and ice cream shops. You will look out over the docked sailing boats in the port as you eat your meal. The port is an incredible site at sunset, when the sky is infused with shades of pink and purple. Port Vell is also the home other famous Barcelona holiday attractions, including Barcelona's World Trade Centre and the Barcelona Aquarium. Those who feel like a walk along the beach might like to stroll along the Pg. Martim Barceloneta, which runs along the seafront at Port Vell.